The frequency of Om is exactly the same as the frequency of earth’s rotation around its own axis. So, in some sense, earth is saying Om. Om is a mantra, or vibration, that is traditionally chanted during any Hindu Ritual. Originated from the Hindu scriptures, the mantra is considered to have high spiritual and creative power but despite this, it is a mantra that can be recited by anyone. It’s both a sound and a symbol rich in meaning and depth and when pronounced correctly it is actually AUM. The syllable is also referred to as omkara (ओंकार, oṃkāra), aumkara (औंकार, auṃkāra), and pranava (प्रणव, praṇava). One of the most popular misconception about “OM” is that it is religious. On the contrary, it is the most universal syllable because it neither refers to any particular religion nor God. The ancient Indians arrived at this tone through meditation, it was given to them intuitively and contemplatively by “opening up to the cosmos”. It is in all the religions in some or the other form. OM has been lifted by other religions as AMEN, SHALOM, OMKAR etc. It is the origin of the universe. There is a beautiful verse in the Guru Granth Sahib, which begins with ‘Ek Omkar Sat Naam, Karta Purakh’ – From Om everything has come, in Om everything dwells, and into Om everything will dissolve; both matter and consciousness. As with most of the traditional practices followed in India, this also has a scientific and practical explanation (based on the physics of sound, vibrations & resonance) with some long term benefit. OM is considered to be the sound of the universe. 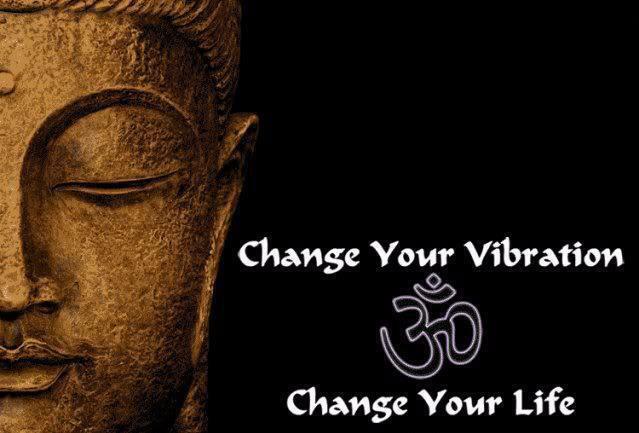 It is the frequency of energy that connects and joins all things together and it is believed that by chanting the mantra, we are physically and spiritually in sync with the various elements of nature and the universe. Om is the eternal sound; Om is the sound which is there in the universe all the time. One can reap positive benefits by chanting the mantra. For example, by chanting “aaaaaaa”, one can feel the sensation and hence resonance of nervous system in the stomach and chest region. Chanting “ooooo” creates sensations in throat & chest region and resonates with them. Similarly, chanting/humming “mmmm” resonates with the nasal cavity as well as skull/brain region. What happens when we concatenate (join together) the above syllables into one mantra? We get the OM mantra which when chanted sequentially activates the stomach, spinal cord, throat, nasal and brain regions. While chanting the OM, the body’s nervous system slows down and creates a calming effect on the mind which is also caused by meditation. By doing so, the condition of the heart improves as a direct result of a relaxed mind and decreasing blood pressure. An excerpt from a research paper which shows the waveform of A-U-M mantra made up of 3 syllables. One of the most popular claims made by Yogis is that chanting Om mantra improves our concentration, gives peace and steadiness to our mind, reduces mental stress and clears all worldly thoughts. Although those who practice it regularly would have experienced it first hand and affirm the same, scientists were curious to find out more about it and verify such claims with the help of science & technology. Few years ago, scientists conducted an experiment in which participants who had never chanted Om mantra were asked to chant it for few minutes and each of their chants were recorded. The time frequency analysis of it showed irregular waveform which indicated unsteadiness in the mind. They were asked to chant the mantra on a regular basis and after few days, the experiment was repeated. The time-frequency analysis this time had some startling revelations. The waveforms were improved with regular spacing, had almost perfect symmetry and harmony. Not only had these participants witnessed dramatic improvements in focus, concentration & steadiness, but found themselves to be in peace, witnessed reduction in mental stress & could remain calm all the time. Only one who has meditated to this tone may have an idea, how deep the relaxing effect of this vibration is and how it calms the soul when one attunes oneself regularly to it. If India was to be called by another ( or any other )name… I think it might be AUM ! Thank you for sharing such beautiful realizations. It is very noble of you to do so.